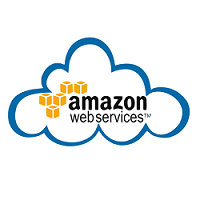 Cloud-based platform like URLgenius do not require an SDK to setup branded domains. The only technical requirement is to have the administrator or the hosting provider for your website create what’s called a “CName record” for the domain or subdomain and have it point to the URLgenius server. In addition, such platform oftern do not charge a setup fee and only charge on a CPC or a fixed monthly fee based on click ranges. Look for solutions that offer free test clicks like URLgenius which gives you 5,000 free test clicks when setting up your app deep linking account. Zero tech resources and zero testing cost make app deep linking with branded domains a win\win for marketers looking for a unique competitive advantage. The takeaway for marketers is clear: Amazon is showing consumers what mobile-first catalog experiences can look and feel like. If you’ve been sitting on the QR sidelines, you have more than permission – you’ve got pressure now to keep up. The good news: you don’t need Amazon’s vast resources to create a similar kind of low-friction, interconnected, mobile shopping experience from print marketing. 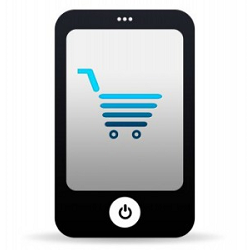 Here are 10 QR-based strategies any merchant can use to win mobile commerce. When sharing IGTV links on Facebook the user needs to login. What if you are one of the millions of Instagram users who are already signed up and logged into the app? Rather than login to the Instagram website, most users will abandon at this point. That means your IGTV link may receive a lot of clicks but very little engagement. Opening the IGTV video in the app will result in more views, likes, sharing, and more followers for your brand. The solution is to use deep linking when promoting IGTV videos in other marketing channels. URLgenius now supports deep linking into Instagram TV content even when shared on other social networks like Facebook and Twitter. 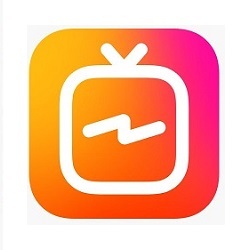 Marketers can now insert URLgenius IGTV deep links into emails, websites, display advertising and any other channel to more directly promote specific IGTV content. Today we’re excited to unveil a powerful new URLgenius capability for Instagram marketers: deep linking to the Instagram Stories camera on iOS and Android. For marketers, this means for the first time you can turn Instagram’s story camera into a mobile “landing page” by linking users directly to it from any marketing campaign or channel. This is great for engaging fans and influencers because it lets them move seamlessly from impulse to UGC-creation mode - while your campaign or hashtag is fresh in their minds, without having to separately open the app, or risk getting distracted by their feeds. Story camera deep links are a powerful mobile shortcut for brands and fans to engage more on Instagram, by making the app-only functionality of the stories camera instantly accessible from a web or browser based marketing channel. You can even use the QR code for your story camera deep link to open the Instagram Stories camera from printed materials. 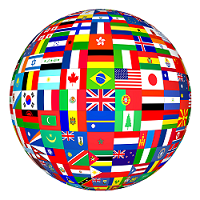 Deep linking platforms like URLgenius allow marketers to route campaign traffic to one international site or to multiple sites and app destinations based on the language preference in the visitor’s browser. Agencies or marketing managers have complete control over routing without the need for costly technical resources. Marketers get more intelligent campaign links that enable campaign managers to: route to one site or as many language sites as needed from a single link, change routing on the fly while campaign links are in production, route to mobile apps and\or mobile websites from the same campaign link, avoid mobile website logins when app is installed, use multi-language deep links in any marketing channel including display ads, paid search, email and append UTM parameters for Google Analytics or other web or channel analytics other solutions. Social Lab discovered that URLGenius mobile app deep linking was the solution for their mobile app conversion challenges. Meeting of the team’s requirements including: SaaS-based, global platform with support for Amazon and other shopping apps, a simple, easy-to-use interface designed for marketers, campaign managers and agencies, no SDK required and no technical implementation, support for any UTM analytics parameters including the Amazon affiliate program, the ability to adjust routing to the mobile app vs. mobile website while links are in production. 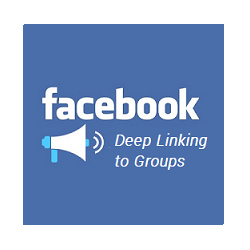 Solutions like URLgenius let marketers update links to Facebook groups to detect and open the Facebook mobile app directly to that particular group page. This makes it easy to join and engage with the group immediately. URLgenius links for groups in Facebook can be promoted from any channel and will consistently open the Facebook mobile app for iOS and Android. Append UTM parameters to track app-opens, referring URL and geo. Solutions like URLgenius let marketers update links for Google My Business listings so they can detect and open the Google Maps mobile app directly to that particular business or place. URLgenius links for places in Google Maps can be promoted from any channel and will consistently open the Google Maps app for iOS and Android. URLgenius will track app-opens across iOS and Android as well as referring URL and geo. 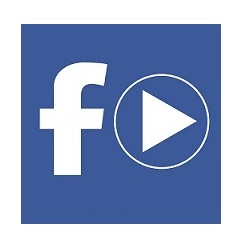 Solutions like [URLgenius](https://urlgeni.us "Deep Linking to Mobile Apps without SDKs or Development Resources") let marketers update links to the videos section of Facebook profiles so the links can detect and open the Facebook mobile app directly to that particular video in the profile. URLgenius links to videos in Facebook can be promoted from any channel and will consistently open the Facebook app on iOS and Android. Visitors will only be sent to the Facebook mobile website when the Facebook app is not installed on the device. 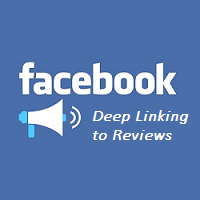 Solutions like URLgenius let marketers update links to Facebook reviews so they can detect and open the Facebook mobile app directly to that particular section in the profile. URLgenius links for Facebook reviews can be promoted from any channel and will consistently open the Facebook app on iOS and Android. Visitors will only be sent to the Facebook mobile website when the Facebook app is not installed on the device. Solutions like URLgenius let marketers update Facebook event links so they can detect and open the Facebook mobile app to that particular page. URLgenius links for Facebook events can be promoted from any channel and will consistently open the Facebook app on iOS and Android. 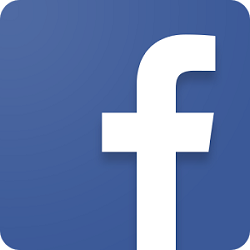 Visitors will only be sent to the Facebook mobile website when the Facebook app is not installed on the device. Deep linking platforms like URLgenius are designed for marketers and agencies and allow you to easily create QR codes to any mobile app. Unlike platforms designed for application developers, there is nothing to install and no development or SDK needed. 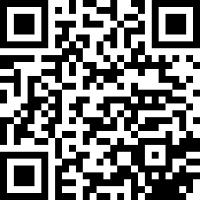 The QR code will open the Android or iOS app depending on what type of device does the scanning. Create deep links to Alexa skills without SDKs or development. URLgenius lets you update the link to your Alexa Skills so it can immediately open the Amazon shopping app to the right page. This can help you dramatically increase installs and engagement with your Alexa Skills. Apple's rollout of iOS 11 on September 19, 2017 unleashed a number of important changes and upgrades to the iOS consumer experience – creating opportunities and risks for mobile marketers looking to reach and engage app users. Collectively, the iOS 11 update represents a set of major advancements for deep linking and mobile marketing. Built-in QR code scanning campability in the camera, shortened cookie durations and improved app-open behavior. URLgenius lets you update article links to the New York Times so they can detect the New York Times mobile app for iOS and Android. Opening the app will help you increase likes, engagement and followers among New York Times subscribers because your audience is instantly brought into the app from any device for iOS and Android without having to login to the mobile website. URLgenius is a cloud-based solution, there's no SDK and nothing to install. One way music creators and promotors can understand listener engagement more effectively is to track SoundCloud mobile app opens across marketing channels and audiences. URLgenius lets you create custom links for SoundCloud profiles and songs while tracking app opens on iOS and Android. URLgenius analytics shows app opens by device as well as the referring URL and geography when available. You can also append UTM tracking parameters for Google Analytics and other tracking solutions. This is helpful for attributing SoundCloud app opens to certain channels including email, display or paid search. 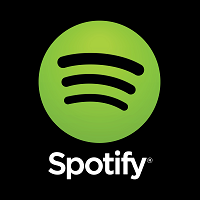 One way that public relations firms can promote artists and songs more effecively is to track Spotify app opens across marketing channels. URLgenius lets you create custom links for Spotify artists and songs that can track app opens on iOS and Android while showing you referring the URL when available and geography. In addition, you can append UTM tracking parameters for Google Analytics and other tracking solutions. This is helpful for attributing app opens to certain channels or segmented audiences. 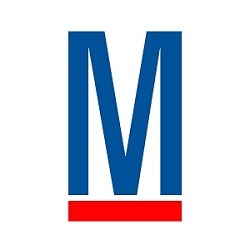 A key part of Military.com’s mobile strategy is to increase downloads of its three mobile apps and to re-engage app users from weekly newsletters that highlight popular content. The marketing team at Military.com needed a deep linking solution that would enable the links in the newsletter to open the correct mobile app depending on the content being clicked. URLgenius providedM ilitary.com with an easy-to-use, cloud-based deep linking platform that supports all of their mobile apps for iOS and Android. For their 10 million members who use the iOS and Android apps, URLgenius increased the ability access over 200,000 pages of app content from email campaigns and other marketing channels. Google recently made an important annoucement about the Chrome web browser and "Not Secure" warnings on sites not using the HTTPS protocol. In short, Chrome will now make these warning more prominent by displaying the message in the address bar of the browser vs. specific fields on the page. The warning will be displayed on all "Incognito" pages. The URLgenius mobile app deep linking platform is designed to support UTM parameters for any analytics application for Web, channel or app. You can also append parameters for more than one analytics package to the same link. You can include the parameters when creating or composing the URLgenius link (embedded approach) or append parameters to any URLgenius link. URLgenius does not require an SDk. Apply parameters for Apple, Android and other analytics SDKs you have already implemented. Create iOS and Android smart banners for you app without SDKs. 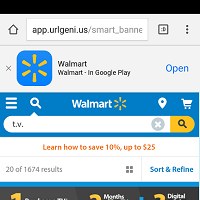 URLgenius Smart Banners route visitor traffic to the right app store or page in the app depending on platform and device and whether your mobile website visitor has the app installed. If the app is installed, the banner will open the app. If the app is not installed, the banner will open the appropriate app entry in iTunes or Google Play. URLgenius enables marketers to instantly create deep links to mobile apps without SDKs or technical resources. Test app vs. web conversion from any marketing channel. URLgenius deep linking will detect and open your mobile app vs. website when clicked from a mobile device that has the app is installed. If the app is not installed, the user is sent to a retailer's mobile website. You can even deploy an app vs. web choice page. Marketers and agencies are choosing the URLgenius platform for mobile app deep linking and app store links because it's easy-to-use, designed for marketing and doesn't require any technical resources. URLgenius also supports all browser and device configurations across iOS and Android. 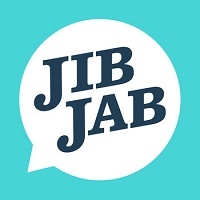 Learn how JibJab created and deployed their links immediately and saw dramatic increases in app downloads and engagement. URLgenius is the cloud-based app deep linking solution. It can help you break down marketing silos and improve the return on your mobile investments. Software development kits (SDKs) are not required and there is nothing to install. Marketers can test app linking to their brand app for iOS and\or Android from display campaigns immediately by replacing a single campaign link with a URLgenius link behind one banner. In minutes, URLgenius app deep linking enables marketers for any app to implement single paid search campaign links that optimize traffic for mobile apps (iOS and Android) vs. mobile website. Marketers get more control over their campaign links, leverage existing analytics strategies and can remove the marketing silos that often exist between paid search and mobile app teams. Rent the Runway is increasing Instagram followers and engagement with URLgenius, the easy-to-use mobile app deep linking platform designed for marketers and agencies. Create marketing links that can detect and open social apps and brand apps. 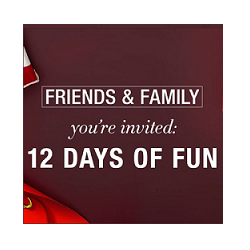 Deep linking support for Instagram profiles, hashtags and individual pictures. URLgenius deep linking for Snapchat opens the Snapchat app from any iOS or Android device while clicking through on desktop. The results are immediate as seen in this case study. Tarte Cosmetics gained thousands of followers in their first use of URLgenius. They were also able to track app-opens and discovered what percentage of their audience clicking on the link had the Snapchat app installed across iOS and Android. Follow the steps below to create a URLgenius link to your Snapchat profile. URLgenius lets create a link to your brand's Facebook Messenger profile while tracking app opens across iOS, Android, referring URL and geography. 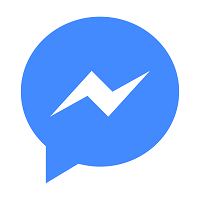 Linking to your Messenger profile from multi-channel campaigns is an easy way to increase followers on Facebook Messenger while helping you understand your most engaged consumers. URLgenius links for Telegram and promote it in your emails and on your website as a way for your audience to follow your brand. When clicked, URLgenius will track Telegram app opens across iOS and Android as well as geography and referring URL. One you start promoting your URLgenius Telegram link, the app-open rate for your link will tell you what percentage of your audience currently has the Telegram app installed. It is also an easy way to postion your brand as very forward thinking in the way it communicates with customers! URLgenius lets you create one intelligent link that routes traffic to Apple iTunes or Google Play depending on the device clicking the link. URLgenius app store links help you remove a step in the consumer journey by taking your visitors directly to iTunes or Google Play to download your app. This is incredibly effective in cases where the consumer does not need any additional information about the app prior to visiting the app store. Updating your campaign hashtags with URLgenius will will detect and immediately open the Instagram app for iOS or Android directly to the right page. This is called mobile app deep linking and using Instagram app deep links will get more followers and more engagement faster by avoiding that mobile website login. URLgenius is the enterprise grade, cloud-based approach to mobile app deep linking that uses an app's URL schemes. 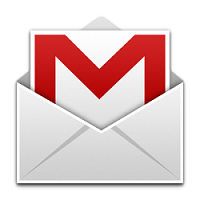 Marketers can update any web URL, giving the link the ability to detect and open the corresponding app. 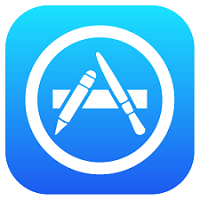 If the app is not installed, the user is routed to the designated fallback web URL or app store entry. Marketers can update one link for testing or scale to thousands of links for paid search, email and display campaigns. Links to individual Instagram pics cannot open the Instagram app for iOS or Android. The link will bring your visitor to the Instagram mobile website where the user needs to login to like or engage with the photo. URLgenius lets you update individual Instagram pic links so the links can detect and open the Instagram app for iOS and Android. Email marketing links that cannot detect mobile apps create bad customer experiences by ignoring current and potential mobile app shoppers. This leads to lost engagement, app installs and ultimately revenue. At every mobile moment, including email, retailers should check for their mobile app before routing customers to the mobile website. URLgenius efficiently routes customers to any destination (desktop, mobile web app) from one link. 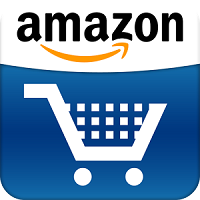 URLgenius allows sellers, marketers and, agencies to update Amazon category and product links so they can detect and open the Amazon Shopping app when found on the user's mobile device. 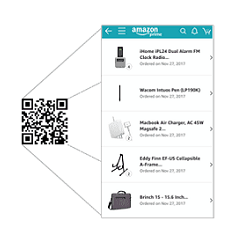 Deep linking to the Amazon Shopping app vs. mobile website will help you increase brand engagement, product consideration and ultimately revenue. URLgenius allows marketers to update YouTube profile and video links so they can open the Youtube app when detected on the user's mobile device. Deep linking to the YouTube mobile app for iOS or Android vs. the mobile website will help you increase followers, views and engagement. Link to your Snapchat profile from any marketing channel. URLgenius deep linking to your Snapchat profile will provide you with access to a wide range of insights including visitors, clicks and Snapchat app open rates by platform and device. Creat multiple links to your profile for different campaigns and markeitng channels. Update the link to your Facebook profile so it can open the Facebook mobile app for iOS and Android. When your visitors click on your updated profile link, URLgenius will instantly detect and open the Facebook app for iOS or Android. This makes it easier for your visitors like and follow your profile or engage with your content. 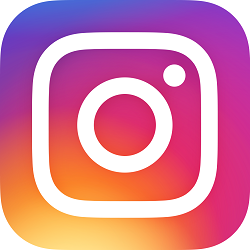 URLgenius lets you update the link to your Instagram profile so it can detect the Instagram mobile app for iOS and Android. This will help you increase likes, engagement and followers as your audience is instantly brought back into the Instagram mobile app for iOS and Android. Follow these steps to update your Instagram profile link.